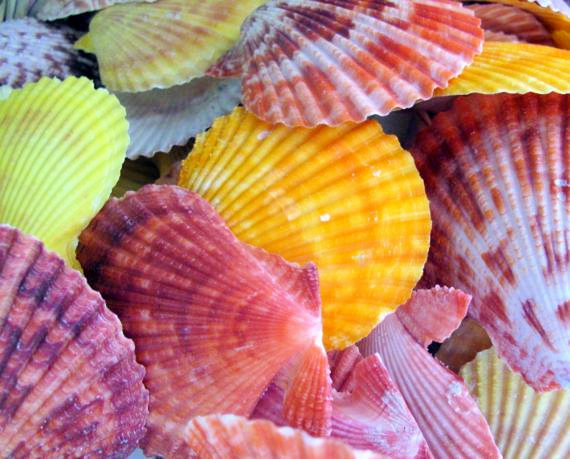 Seashells, Starfish & Ocean Related Giftware > Tropitek Trading Ltd.
All Seashells have been cleaned polished, sterilized and prepared for sale. Our items are by-products of the farming and fishing industry. All our products are natural. No two items created by nature will be identical. There will be slight differences in size, shape, coloring and pattern for each natural item. All items will have natural imperfections caused by living in the oceans or in the wild. All sizes stated are approximate – not exact. We do not carry perfect, "specimen grade” products. All our products are commercial grade. All our merchandise has been cleared for legal entry into Canada by the Canadian Fish & Wildlife Department and Canada Customs. We have all required governmental licenses and permits. All products will have a label "Made in India”, "Made in Philippines”, etc. These labels are a requirement by Customs department and state the country of origin of the product. They do not mean the item was "manufactured”. All our products are natural. It is not advisable for you to buy shells from the USA. SS451L 23 Legged Starfish 4 - 6"
SS451S 23 Legged Starfish 2 - 4"
SS657 Melongena Pugilina Shells 3+"
SS658 Judisear Cassidula Shells 2.5 - 3"
SS702 Laciniate Conch Shells 3"
SS703 Golden Fighting Conch Shells 3"
SS708 Lambis Millipeda Shells 3 - 4"
SS709 Lambis Scorpio Shells 4 - 6"
SS417 Pink Sea Urchins 1.5 - 2"
SS416C Sugar Starfish 1 - 2"
SS416 Sugar Starfish 4 - 5"
SS416A Sugar Starfish 2 - 3"